Pop Culture Monster is well aware that he has been banging on about this film for quite some time, but that’s only because it’s amazing. True story. Edgar Wright has fully realised Bryan Lee O’Malley’s graphic masterpiece on the big screen. The movie captures the spirit of the books perfectly with it’s constant pop culture references and video game nods. Wright manages to capture the spirit of the books to please the fanboys, but leaves the film accessible enough for any newcomer with an open mind. 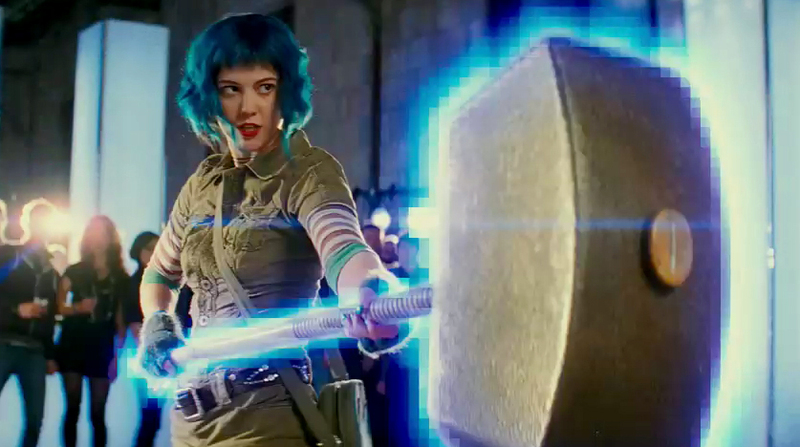 The story follows Scott Pilgrim as he attempts to win the heart of Ramona Flowers, the coolest girl in Toronto. 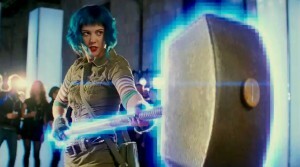 What Scott doesn’t know is that in order to date Ramona he must battle and defeat her seven evil exes. That all sounds fine until you factor in that most of them are badass superpowered villians. Fortunately Scott has is own band of music-making, wise-cracking friends and even an evil ex of his own to get him through. With a pitch-perfect cast, a stellar soundtrack and fights and kisses and stuff, Scott Pilgrim is one of this years must-see movies. Will he beat the boss and get the princess? You’ll have to check it out and see.